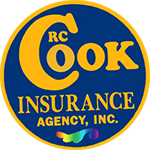 Get your free senior driver insurance quote from RC Cook Insurance. Call 330-296-3628 for more information. We're located in Ravenna, OH. Ravenna Senior driver car insurance relies on the length of your good driving record to discount the premiums you pay.